Cut off the bread crusts. 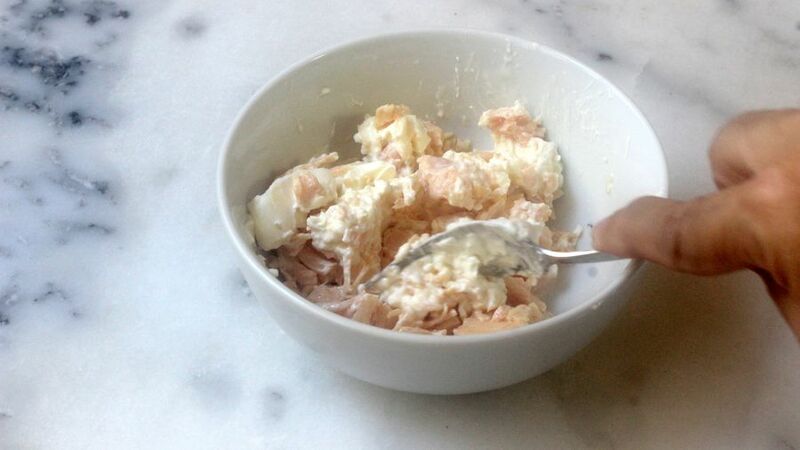 In a medium-size bowl mix the turkey with cream cheese. 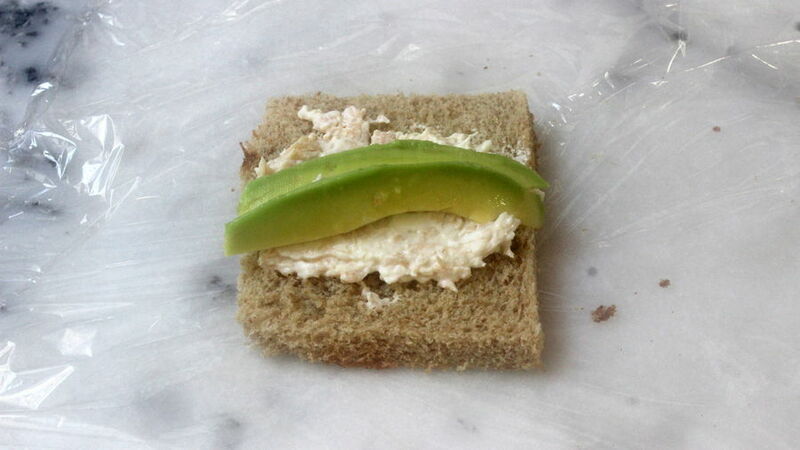 Spread about 1 1/2 tablespoon of the mixture on each slice and 2 thin slices of avocado. 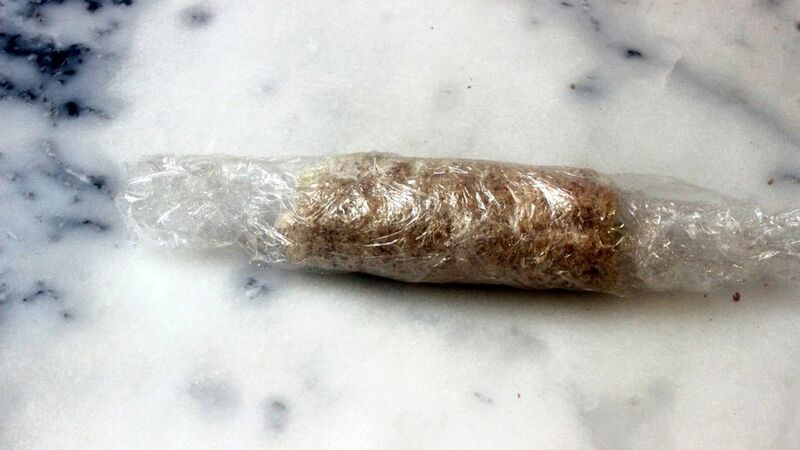 Wrap using plastic wrap by pressing a little. 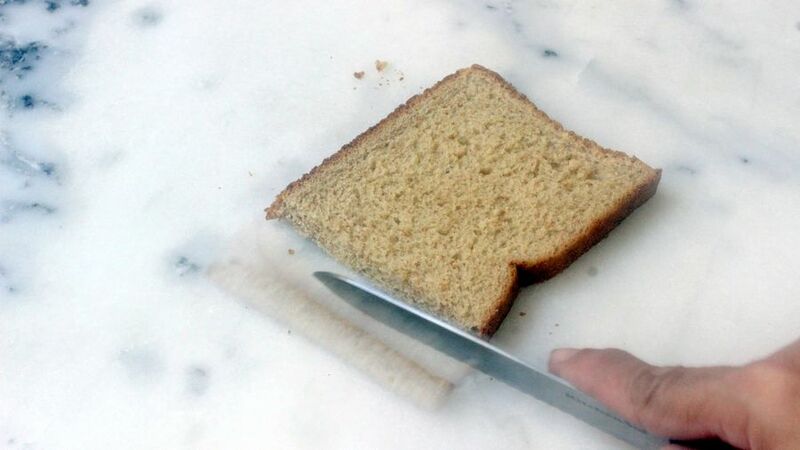 Remove and cut 3 slices of each slice. You can replace turkey with chicken or canned tuna. You can also add finely chopped carrot or cucumber. These sushi rolls made with bread and turkey are a fun way to give life to kids’ school boring lunch boxes. Surprise them with these turkey and avocado sushi rolls. 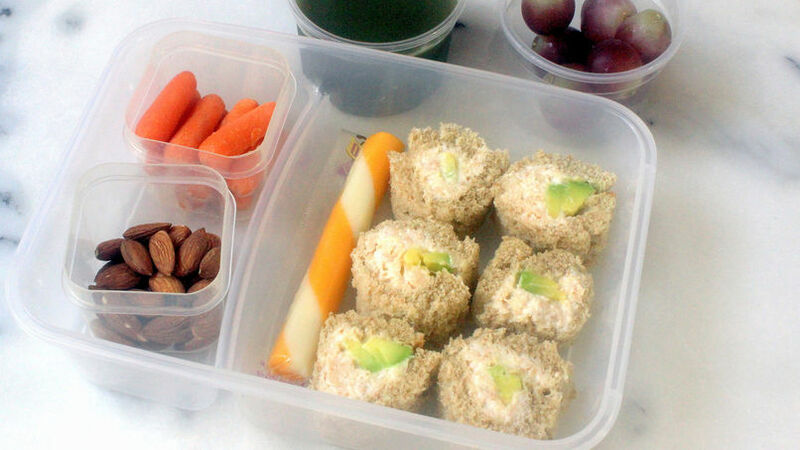 You can prepare a different lunchbox every day by adding fruits, carrots and nuts.